This huge organ now standing at the west end of St Vincent’s Church, Roquevaire in the south of France was, during the lifetime of Pierre Cochereau his house organ! 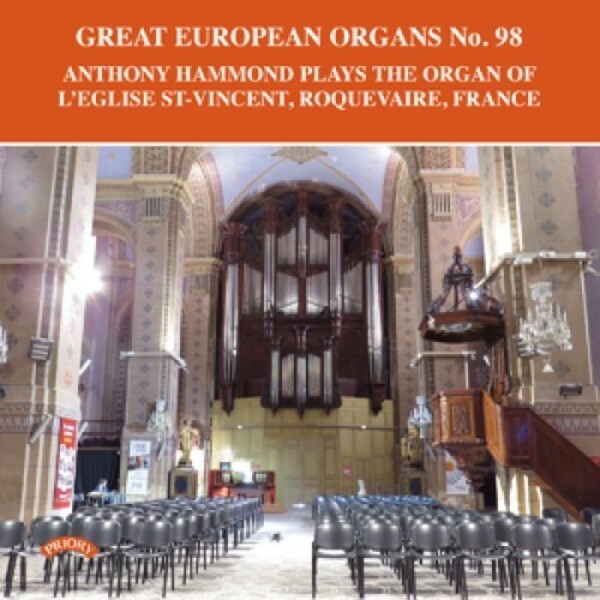 This four-manual instrument is a welcome addition to this series in a programme played by the stunning British organist, Anthony Hammond who specialises in the French repertoire. His programme is of music by Hakim, Monnikendam, Roth, Bouvard and of course Pierre Cochereau of whom Hammond is the author of an authoritative book about this unorthodox composer and genius.